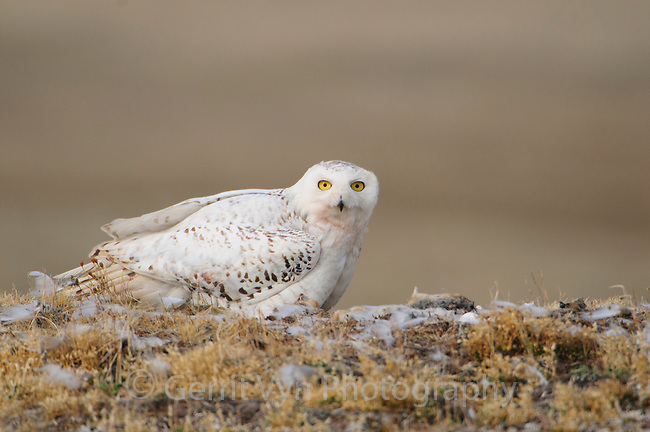 Adult female Snowy Owl (Bubo scandiacus) brooding chicks on the nest. Several collared lemmings, previously delivered by the male lay nearby. Bathurst Island, Nunavut, Canada. June.